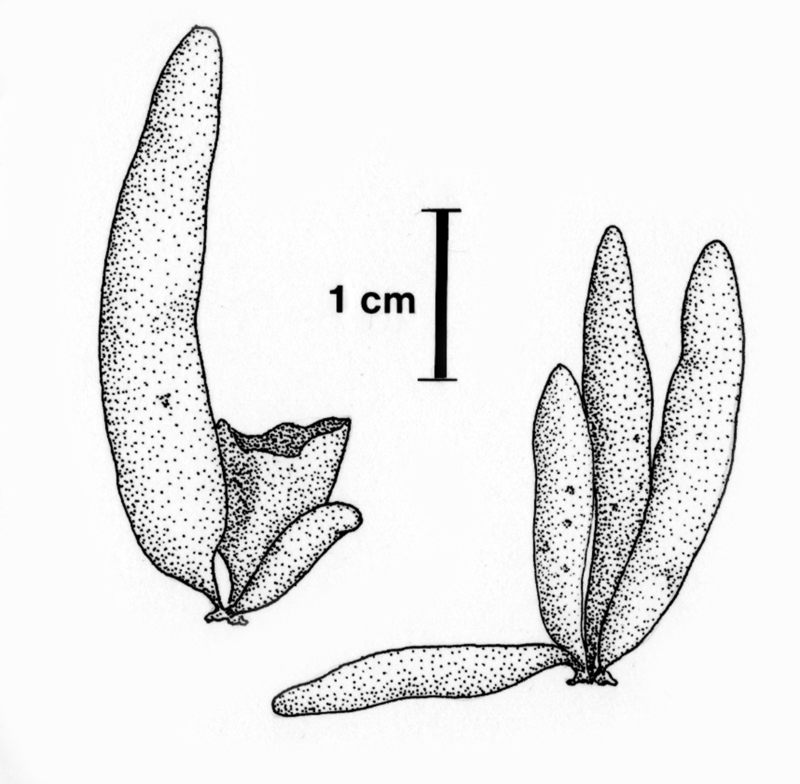 Nothogenia ovalis (Suhr) Parkinson 1983: 609. Thallus a brownish- or yellowish-red, erect, gas-filled vesicle up to 5 cm tall; several vesicles arise from a common crustose base. Wall of vesicle composed of mainly anticlinal filaments, similar in structure to N. erinacea (above). Reproductive structure of gametophytes and crustose tetrasporophytes as for N. erinacea. Epilithic in the eulittoral zone, where the small bladders may form patches. 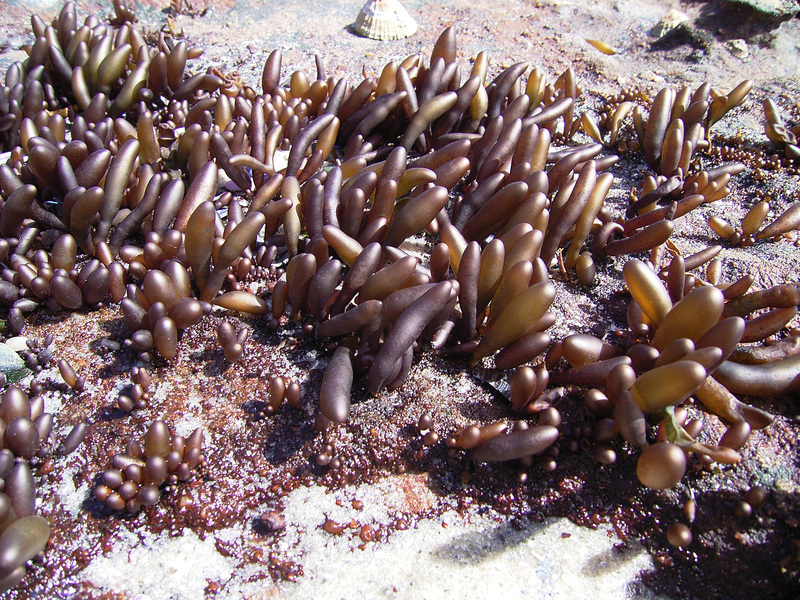 Found from Möwe Bay in Namibia, along the west coast, to Tsitsikamma (1-32). World distribution: Also recorded from Tristan da Cunha (Baardseth 1941). Note: Life history described by Anderson & Stegenga (1985). 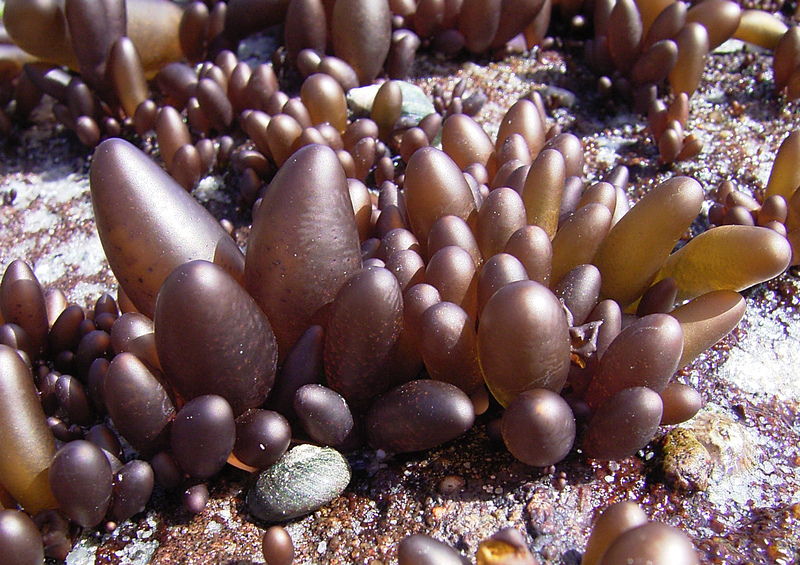 Nothogenia ovalis, bladder-like thalli on rock covered by thin red crust, some of which may be the tetrasporophyte of this species. Nothogenia ovalis, close-up of the bladder-like gametophytes. Nothogenia ovalis, habit. Reproduced from Stegenga et al. (1997). Baardseth E. 1941. The marine algae of Tristan da Cunha. Results of the Norwegian Scientific Expedition to Tristan da Cunha, 1937-1938, 9: 1-137.